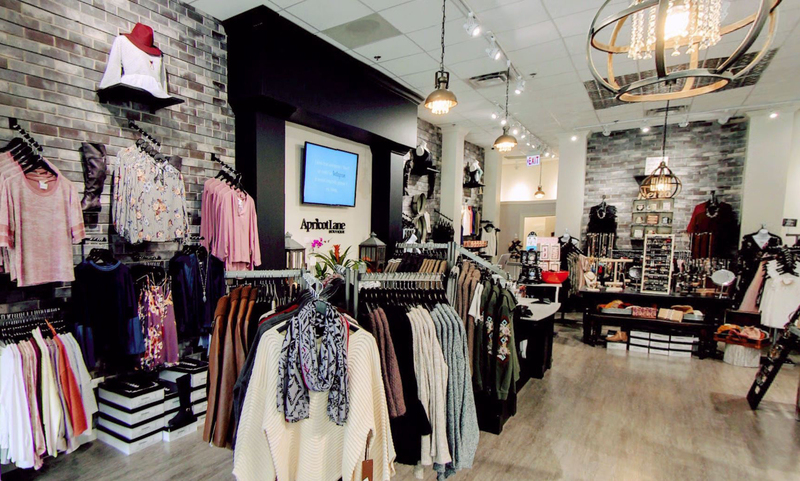 GLENVIEW – Savvy North Shore fashionistas who love shopping local — but hesitate to spend hundreds of dollars on a trendy top that may look dated next season — will rejoice when they walk through the doors of Apricot Lane, a national clothing franchise recently opened at The Glen Town Center. 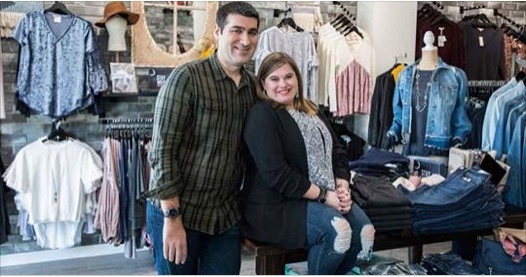 Launched in October by Deerfield couple Rachel and Keith Schechter, Apricot Lane’s Glenview location sells fashion-forward clothing, shoes and accessories at prices typically found in big-box discount chains like TJ Maxx and Nordstrom Rack, while simultaneously providing the upscale atmosphere and personal service of a small, specialty store. Click Here to Read More! Welcome to Apricot Lane Boutique in Glenview, IL! This locally owned women’s boutique carries a selection of clothing, accessories and gifts unique to any other location. Our clothing is on-trend, affordable, and ever-changing to ensure you walk away with something one of a kind! We carry a curated collection of well-know brands mixed with new, up-and-coming brands; all of which are high-quality, stylish and affordable. We provide the forward trends with a classic style. With limited quantities and new items arriving weekly you are sure to walk away with something unique!